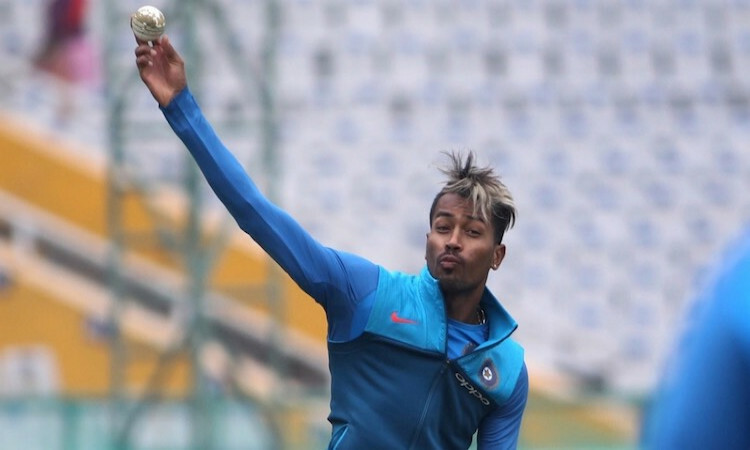 Mumbai, Dec 13 - India all-rounder Hardik Pandya has his eyes set on a comeback to the Indian Test side that is currently playing in Australia and for that is taking part in Baroda's match against Mumbai in the 2018-19 Ranji Trophy after an injury layoff. Hardik picked up a back injury during the Asia Cup in September and has since been sidelined. He was originally selected in the India A squad for their three-match one-day series against New Zealand A but the 25-year old decided to focus on Tests instead with the ODIs against Australia only scheduled after the Test series ends. "If I am playing a Test match, I should play a four-day game (rather) than one-day," Hardik told Times Now. "Because one-day is later on. I am focusing right now that if I can make it to the team, because there is scope of me making a comeback into the Test team, if I am fit to play a Test match. That's why I wanted to take my time and see where exactly I stand in Ranji Trophy. "Playing a Test match is a different league. The workload goes very high, so I wanted to see if I can manage the workload. I knew I would get enough match preparation before the Australia ODIs. Therefore I focused on playing Ranji Trophy." India, who play their second Test against Australia in Perth from Friday, can bring back Hardik into the fold before the last two matches in Melbourne and Sydney. "Before I go for any major series, I wanted to see where exactly I stand," Hardik said. "Ranji Trophy is the best domestic tournament. I wanted to check my fitness levels there, and then take a call about how I am feeling and what should be the next step. Right now, I am only focusing on the Ranji Trophy and then obviously, I want to get back to the team as soon as possible, because it's difficult to stay away for so long."